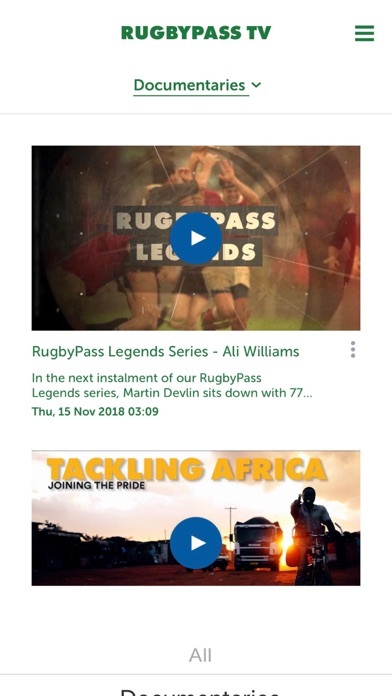 Watch the world's greatest rugby live or on demand in HD and get the latest news, analysis, best highlights, live stats, shows & documentaries plus much more, all on RugbyPass. 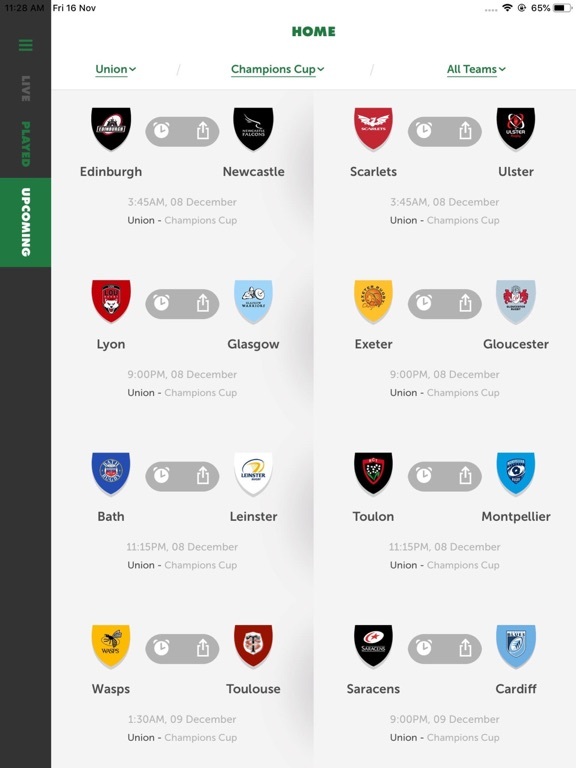 RugbyPass coverage throughout Asia (Zone 1 & 2) includes every game from the Six Nations, The Rugby Championship, June & November Internationals, SuperRugby, Heineken Champions Cup, Gallagher Premiership, Pro14, Premiership Cup, Mitre10 Cup, and Currie Cup, plus selected matches from the Challenge Cup. Features Chromecast support for your TV. NB. 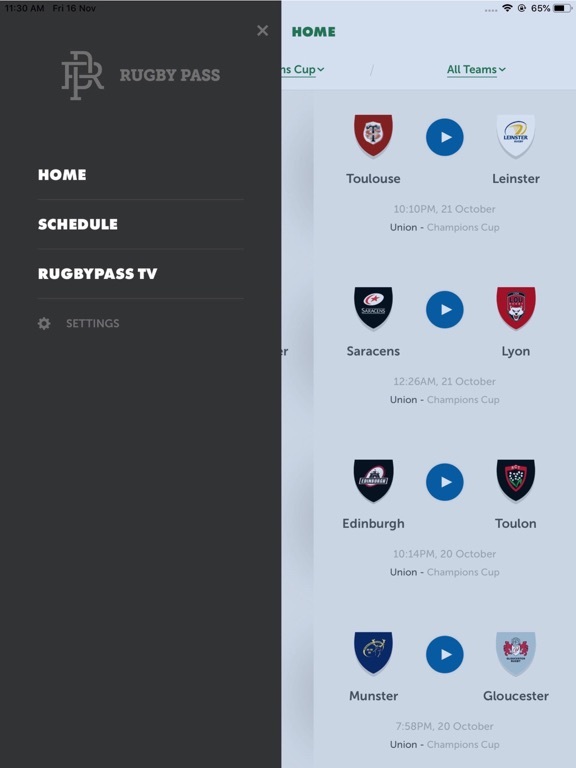 A RugbyPass subscription is required to view the content. All games remain in the archive forever following live broadcast so you can watch a full replay or extended highlights whenever you want, as many times as you wish. 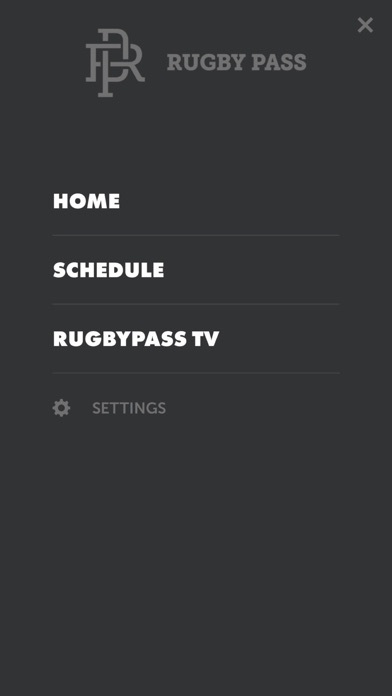 RugbyPass is available in it's most comprehensive form throughout the following Zone 1 & 2 countries: Bangladesh, Bhutan, Brunei, Cambodia, China, East Timor, Hong Kong, India, Indonesia, Laos, Macau, Malaysia, Maldives, Myanmar, Nepal, Pakistan, Philippines, Singapore, South Korea, Sri Lanka, Taiwan, Thailand and Vietnam. 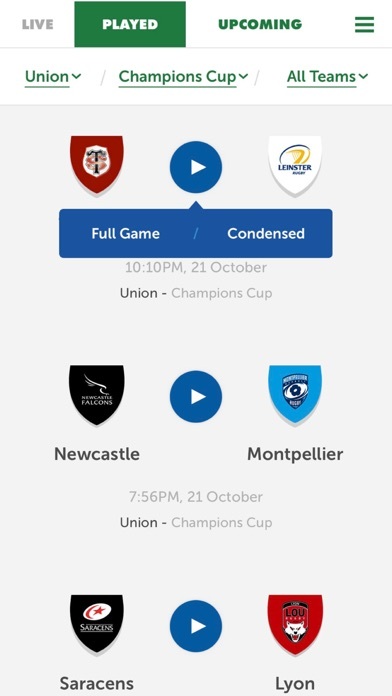 Zone 3 coverage includes every game from The Rugby Championship, Gallagher Premiership, Super Rugby, Mitre10 Cup and Currie Cup live and on-demand and subscriptions are available in the following countries: Albania, Armenia, Azerbaijan, Belarus, Bosnia, & Herzegovina, Georgia, Kazakhstan, Kosovo, Macedonia, Moldova, Montenegro, Russia, Serbia, Turkey, Ukraine. 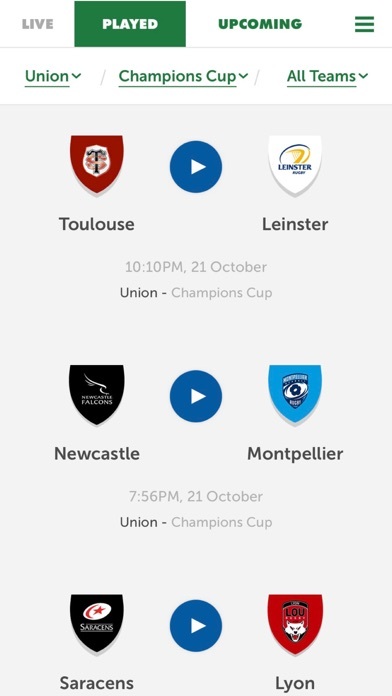 RugbyPass subscriptions in Australia (Zone 4) include every game from the Pro14 and Heineken Champions Cup plus selected matches from the Challenge Cup live and on-demand. 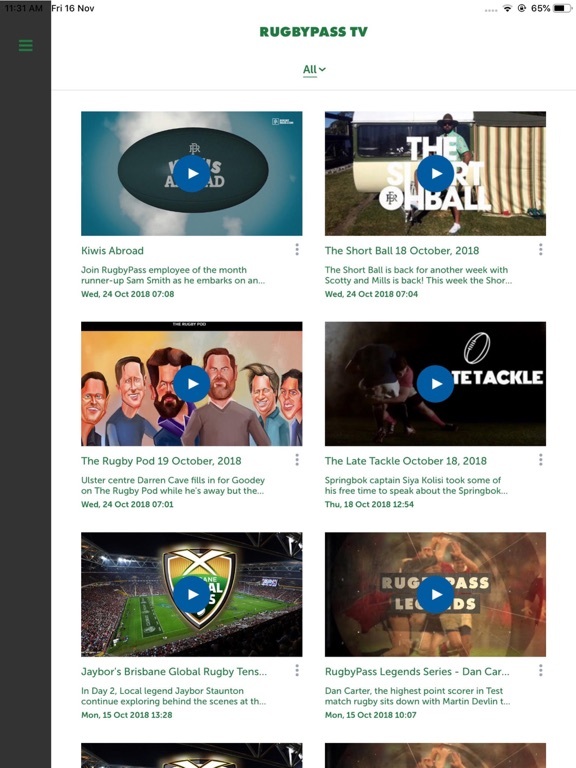 Zone 5 subscriptions which cover the rest of the world currently include access to RugbyPassTV which includes all of our shows & documentaries. Zone 6 subscribers get access to every match from The Rugby Championship, Super Rugby, Mitre 10 Cup, Currie Cup, plus RugbyPassTV throughout Austria, Belgium, Bulgaria, Croatia, Cyprus, Czech Republic, Denmark, Estonia, Finland, Germany, Greece, Hungary, Iceland, Latvia, Liechtenstein, Lithuania, Malta, Netherlands, Noway, Poland, Romania, Slovakia, Slovenia, Sweden. NB. 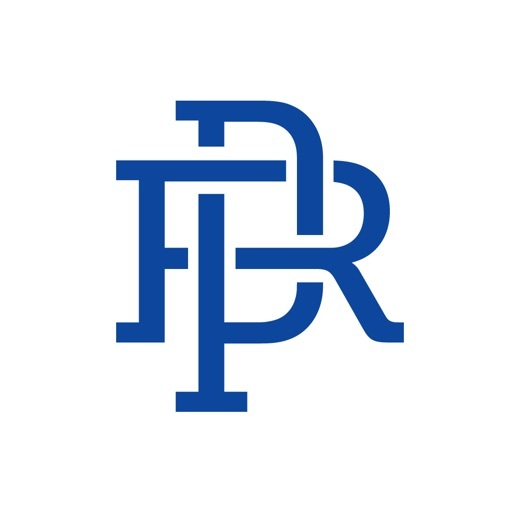 A RugbyPass membership is required to view the content. An annual subscription is valid for 1 year from date of purchase. A monthly subscription is valid one month from date of purchase. A weekly subscription is valid one week from date of purchase. Your account will be charged for renewal within 24-hours prior to the end of your subscription and will renew for an additional year for all annual subscriptions and for an additional month for all monthly subscriptions and for an additional week for all weekly subscriptions.